Mini Milk: short and sweet. We just love the First Stories Series but the books are only four pages long! BookBairn's favourite is without a doubt Alice in Wonderland which we have read hundreds of times (thank goodness it's short). The illustrations are adorable and it's a great introduction to a familiar story that I'm sure she will grow up to love! 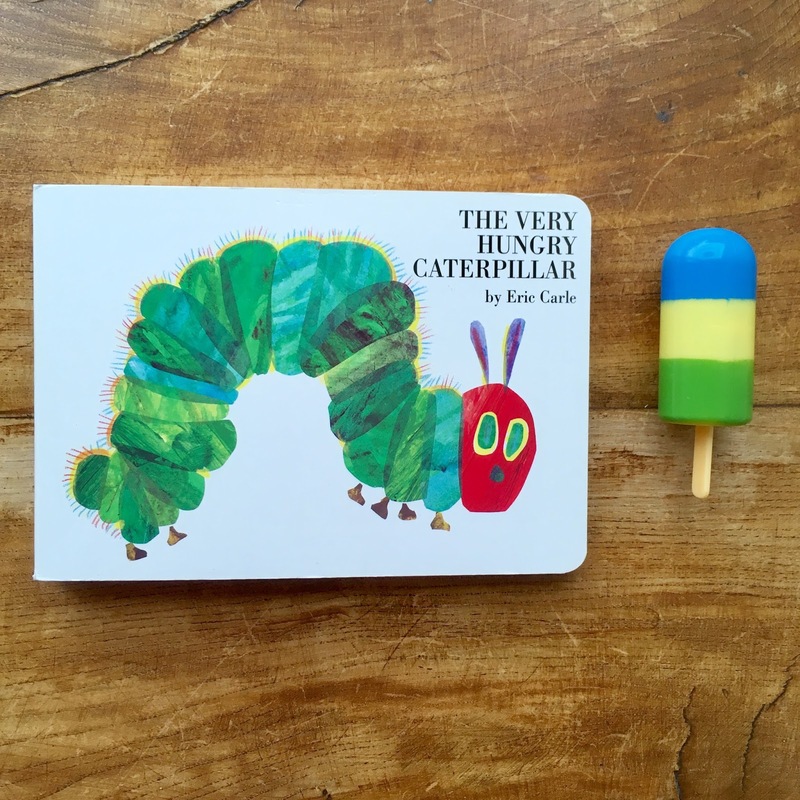 There are so many great classic children's books but our favourite has to be The Very Hungry Caterpillar by Eric Carle. It's a classic for so many reasons and I'm sure I don't need to tell you that it's cute, quirky and a fun read for little fingers to explore. It's great for learning days of the week, numbers, foods and colours. And the butterfly at the end is sensational! 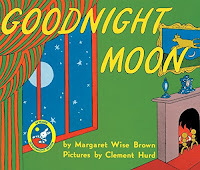 I'm going to share one that I've read to a class but not to BookBairn as the ending is such a surprise it's only really exciting to read once (though my class enjoyed reading it over and over). 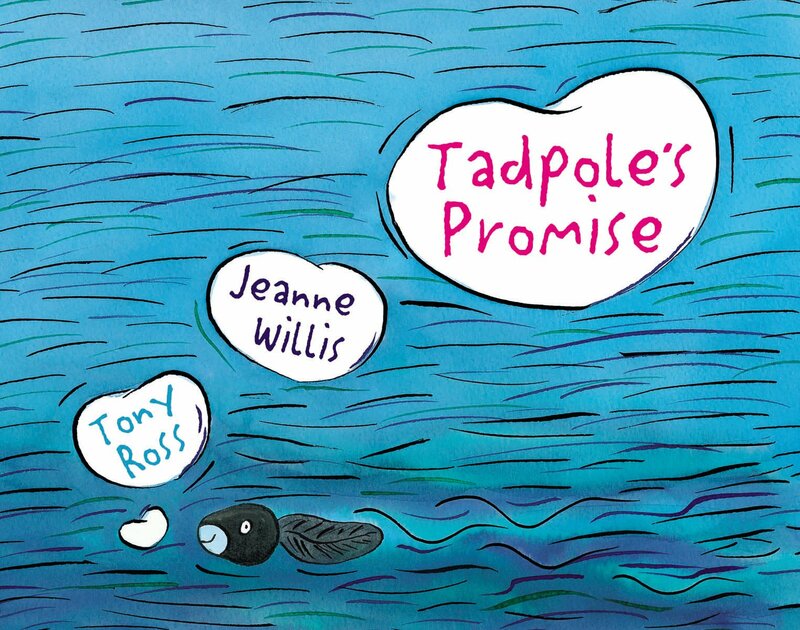 Tadpole's Promise by Jeanne Willis and Tony Ross is the story of a little tadpole and a caterpillar who fall in love and promise never to change. But of course, they can't fight their nature. A love story with a twist! And great fun to read. But no spoilers you'll understand as that would really ruin this book! Rocket Ice Lolly: more exciting on the outside than on the inside. This is a tricky one for me as I don't usually do negative reviews and I am picky about what books I share as I don't want recommend anything that I don't really love. So instead I'm choosing a truly beautifully illustrated book that's story didn't live up to the illustrations. And that's Into the Woods by Thereza Rowe. This book stars beautiful pieces of artwork, that I would never deny but I found the stories a bit disjointed and lacking in character and excitement. Just not for us. But still beautiful. Ben and Jerrys: most versatile author. This is a tough choice but... I think I'm going to go with Emma Dodd. 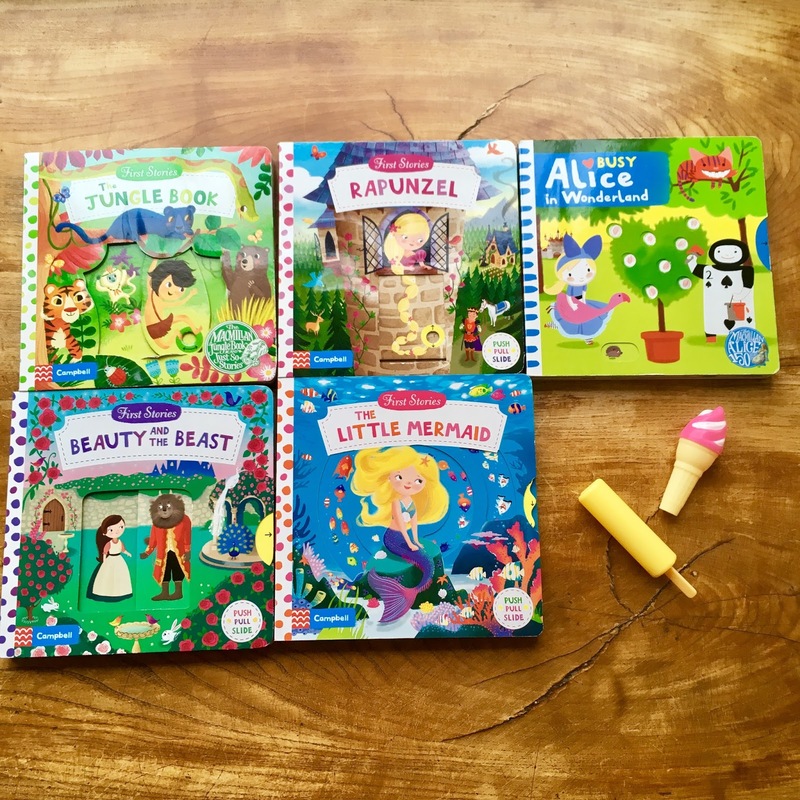 Her foil series of books are incredibly magical and make for wonderful bedtime story reading and special parent-child bonding moments for our family. 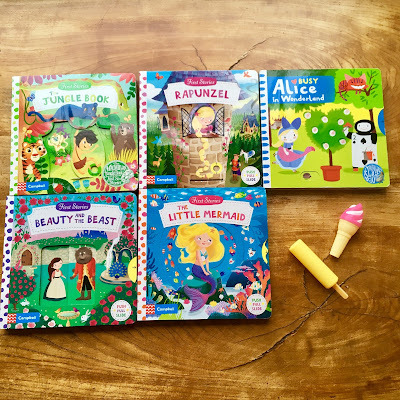 But Emma also illustrates a series of fairytale books that we read regularly at bedtime and her 'I love...' series are so sweet and we also enjoy the 'amazing baby' books she makes with high contrast images aimed at babies. And she has a whole bunch of picture books we've not read yet! 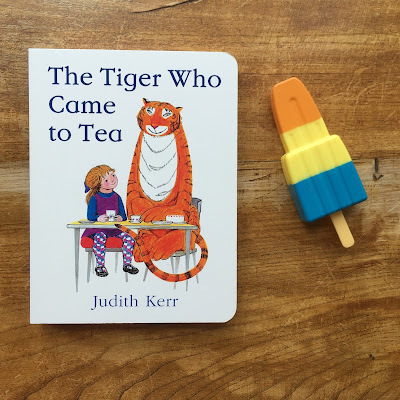 For me this has to be The Tiger who Came to Tea by Judith Kerr. Not to spoil it but the tiger just disappears at the end and leaves everything in a mess behind him. Kinda a dull ending. Rainbow lollies: favourite LGBTQA fiction. We don't have so many LGBTQA books but read lots of diverse books about people from all different backgrounds around the world. 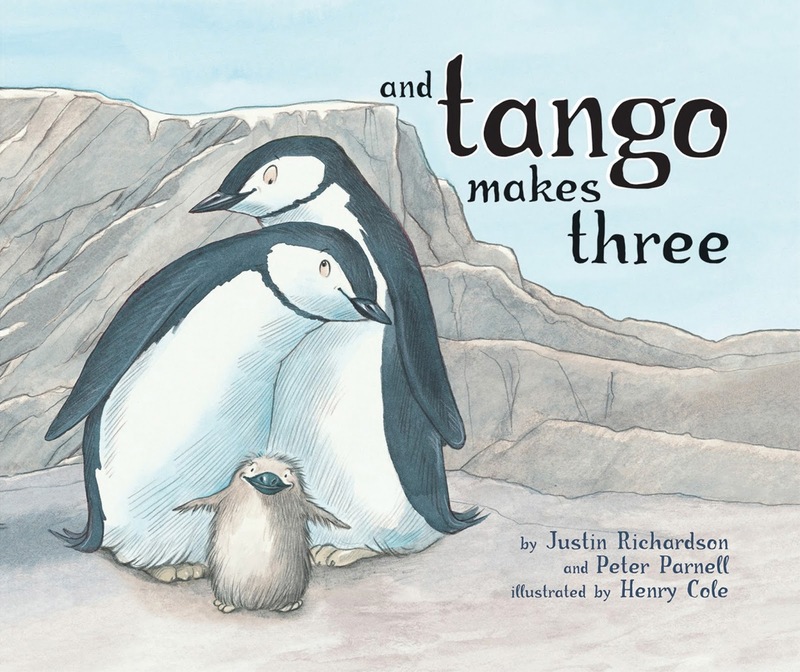 But if it's LGBTQA specifically I love the story of And Tango Makes Three by Justin Richardson and Peter Parnell. 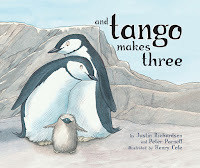 It's a sweet tale based on the true story of two male penguins who desperately want an egg to sit on and hatch. A story about family. It's lovely. Nobbly Bobbly: gritty subject, sweet message. 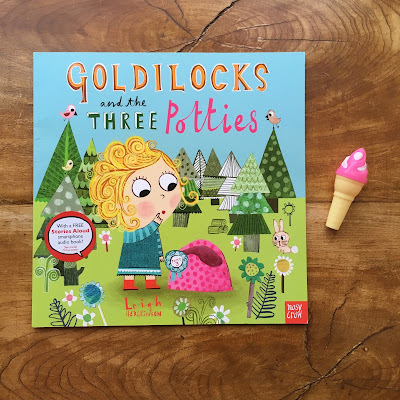 Goldilocks and the Three Potties by Leigh Hodgkinson. Definitely a gritty and gross subject but handled with humour and fun in this clever retelling! Boss Strawberry Double: international author. This has to be Anna Llenas! 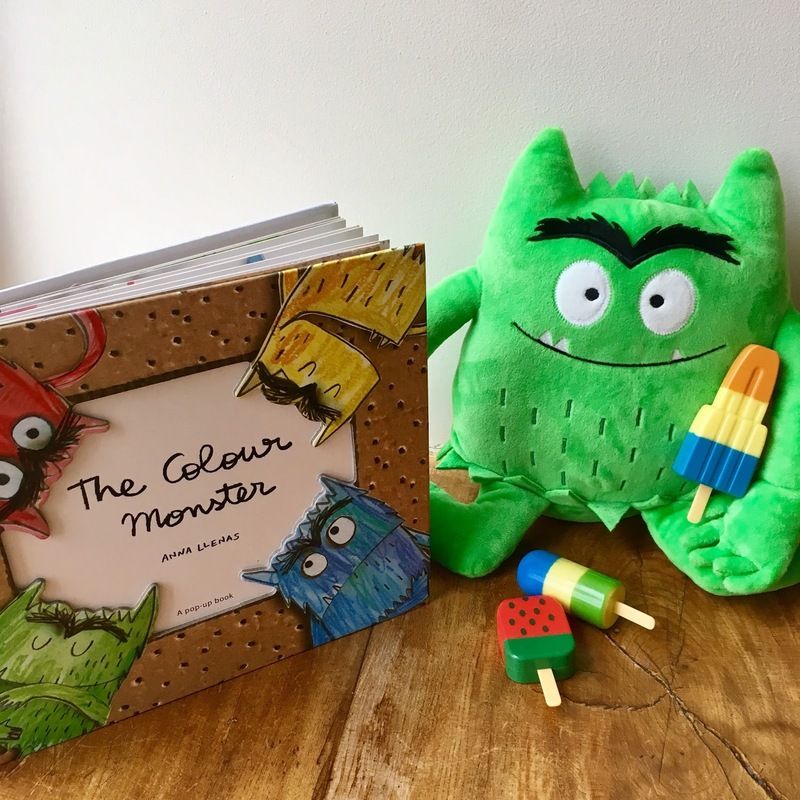 We love her Colour Monster book and character. It's one of our favourite re-reads over and over again! Magnum Ice Cream Tubs: weird but good. 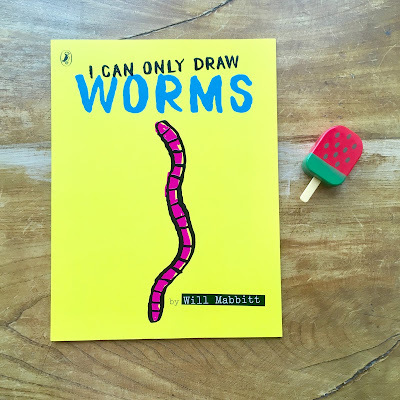 I Can Only Draw Worms by Will Mabbitt is a strange picture book. It has a very limited illustration selection - just worms. And it's a counting book. But it is hilarious! Laugh out loud funny. Crunchie Blast: great spin off/retelling. This has to be the BabyLit series of books. They are such great first word primers based on some of the most popular classics. From Jane Austen to Ruyard Kipling and Shakespeare to Lewis Carroll there is something for everyone. 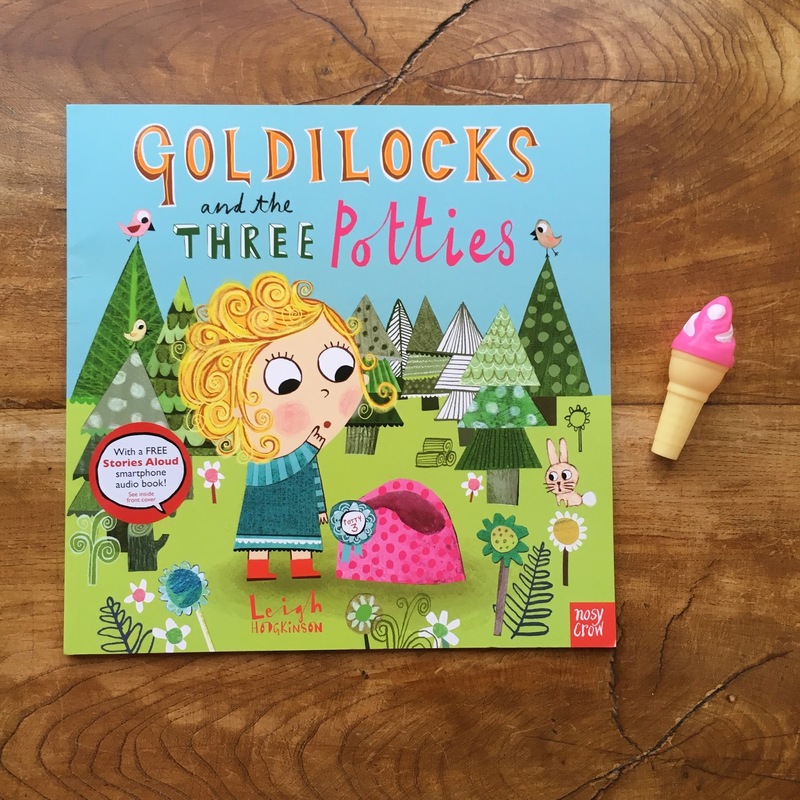 The illustrations are bright and colourful, bold and fun and the accompanying quotes and keys words add a little something to read aloud. As much for adults as for children! Light and fluffy? Has to be the touch and feel series 'That's Not My...' by Fiona Watt and Rachel Wells great for fluffy elements to explore. Choc-Ice: don't want to admit you love. I genuinely can't think of any that I don't want to admit I love. If I love a book, I'll sing from the rooftops about how much I love it! Kids don't have these sorts of inhibitions or embarrassment about enjoying something - have you seen them dancing? There's no place for this attitude in the world of children's literature! Fruit lolly: left on the shelf. 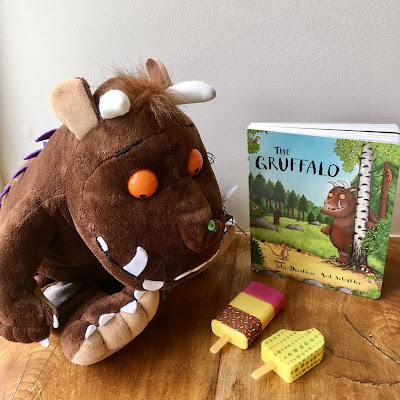 This is probably a strange choice but I'm going for The Gruffalo by Julia Donaldson and Axel Scheffler and I'm choosing it because BookBairn loves this story. She loves listening to the audiobook in the car and watching the TV film but she never ever chooses the book to read. I have no idea why! Mint Choc Chip: love it or hate. 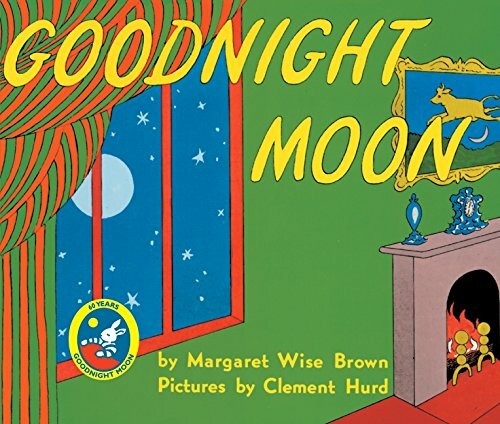 Oddly, having said we are not in the habit of being negative about books I'm going to go with one I hate but lots of people seem to love and that's Goodnight Moon by Margaret Wise Brown. I don't like the colour palette. I find the story slightly bizarre. And just don't see what all the fuss is about. If you fancy taking part in this tag considered yourself 'tagged'! Time for another ice lolly before autumn sets in! 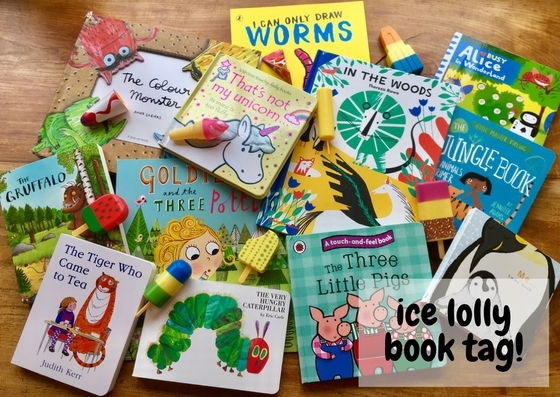 Lots of great books and great ice creams and lollies. Good choice, MummyBookBairn. Thanks! BookBairn's favourite ice cream is definitely a mini magnum - I blame her Uncle Ally! Brilliant! I bet you had as much fun putting this together as you did finishing off the lollies.